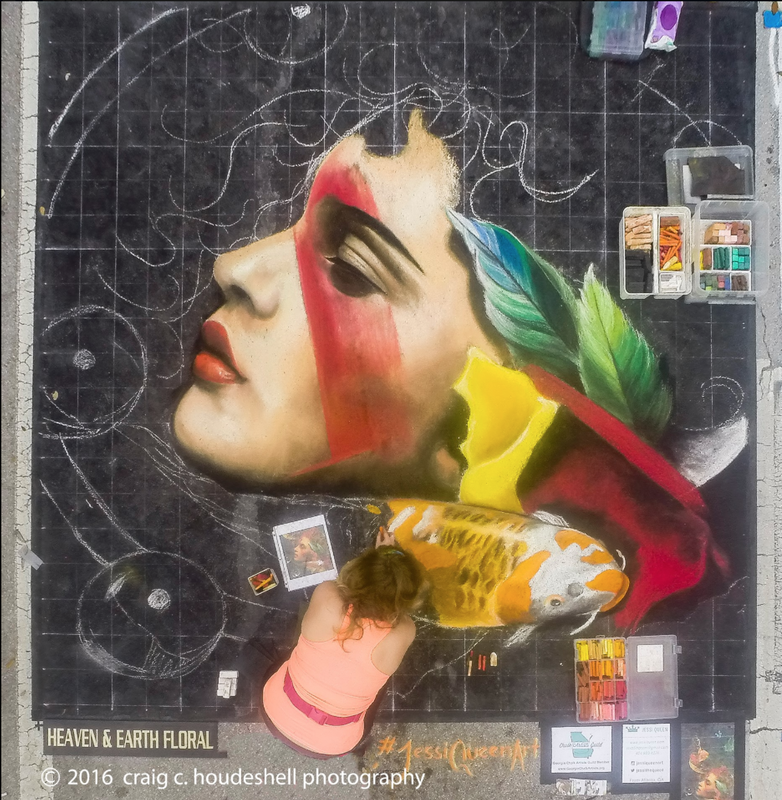 Jessi Queen is an award-winning chalk artist living in Atlanta, GA. She received her BFA from Savannah College of Art and Design and has been creating chalk murals on the sidewalk since 2007. She has participated in national and international chalk festivals including in Italy and Germany. With fellow chalk artists, she started the Georgia Chalk Artists Guild which has grown to over 20 members from GA and around the country. She works full time as a User Experience designer at Razorfish and enjoys cycling and fostering dachshunds. She lives life to the fullest and travels every chance she gets.